Discover this Thornton, CO Flooring Store for Exceptional Tile, Carpet, Stone & More! Beautiful flooring for every room in your home! The beauty of the Thornton, CO, area is an attraction for so many who love to spend time outdoors. So many Thornton homeowners want to add beautiful and functional flooring to their homes that reflects the natural beauty of this area of Colorado. This is easy to do when you visit our Thornton Carpet Mill Outlet store. From luxurious carpets, to classic tile, sumptuous wood flooring and more, you’ll find the highest quality flooring at affordable prices at Carpet Mill. Upon visiting our Thornton store, you’ll find Carpet Mill not only offers great flooring products; we also offer friendly team members who are ready to help you discover the perfect flooring for each room of your home. You can describe what you are looking for, and get help choosing the perfect products. Or if you’re unsure as to which flooring would work in a given room, our experts are happy to make recommendations. For example, if flooring is needed in the bedroom, you can explore soft, luxurious carpet. Multiple types are available, including popular Stainmaster®. Plus, rich wood flooring can add a touch of beauty to a bedroom suite. Carpet Mill offers oak, cherry, maple, hickory, bamboo and acacia flooring. These finely crafted wood floors provide exceptional quality and beauty for the bedroom, and any other room in the home. High traffic areas can be a challenge, but Carpet Mill’s experts have so many choices that you will love; including a multitude of tile, stone and laminate products. The colors and styles provide a dazzling selection that allows you to match your existing décor, or create a brand new ambience. Ceramic tile, natural stone, marble, slate and so many more options – at Carpet Mill in Thornton, CO, you will always be able to find a terrific choice that will work for you. 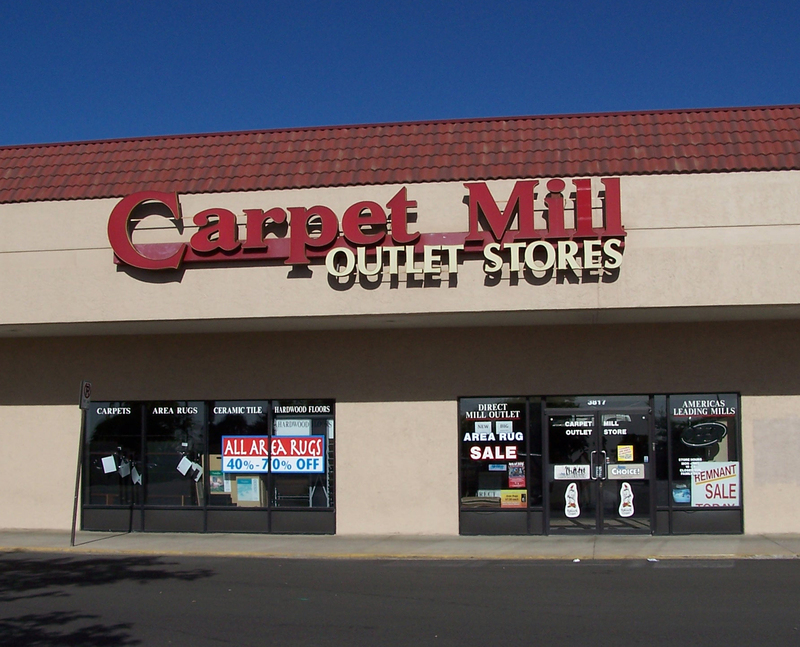 We encourage all our flooring shoppers to check the On Sale section of the Carpet Mill Outlet Stores’ website. Great deals include specific sales and storewide discounts. Plus, bring in any competitors’ prices and Carpet Mill will beat them! Another great benefit of working with Carpet Mill is our free in-home measure and estimate. Once you select the flooring you want, Carpet Mill will professionally install it for a beautiful result! Enjoy an upgrade to your existing home or select flooring for your new home at the Thornton, CO Carpet Mill Outlet Store. Fantastic flooring selection, plus granite countertops, too! Get your free in-home measure and estimate!